Being the ever-curious appliquér, I picked up a package of Ricky’s version of freezer paper. Here’s what it looks like when you take it out of the package. This is only a portion of it. I cut out a hunk of the regular supermarket freezer paper and a piece of Ricky’s. Ricky’s does feel softer, thinner, and more flexible. I hope you can see a difference in this photo. 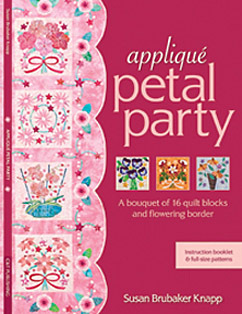 Personally I end up chopping my freezer paper into little pieces for the type of appliqué that I do, but I can see where this product would come in mighty handy if you’ve been taping together sections of freezer paper to use with large patterns in other techniques. For instance, what comes to mind is designing and marking swag borders, where you use a piece of freezer paper that’s the same dimensions as your border, then fold it into sections for the swags. I went ahead and tested it out for the freezer-paper-on-top type of appliqué that I know. Note the cardboard underneath. The firm surface helps create a better bond when ironing the template onto the fabric. 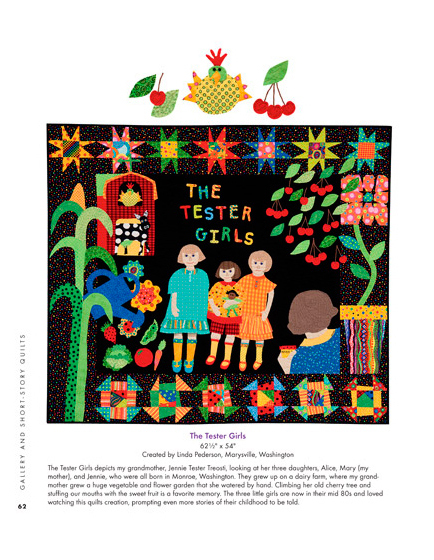 I’m a baster… can’t abide pins when I’m trying to stitch. It strikes me as amusing that Ricky would need to call this product by a name that’s not what it’s intended for (wrapping meat for the freezer) so that it will be familiar for quilters! C’mon gang, chime in. What use would you make out of extra-wide freezer paper? 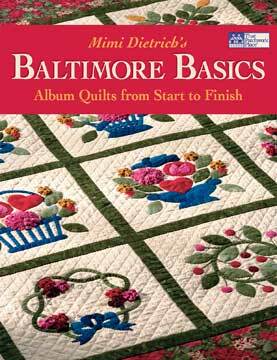 Pam Crooks is one of the members of the small quilt group I’ve been stitching with for over 12 years. She’s a super-busy gal, working full-time and traveling for her position with a banking institution, plus participating in so many appliqué projects it could make your head spin. 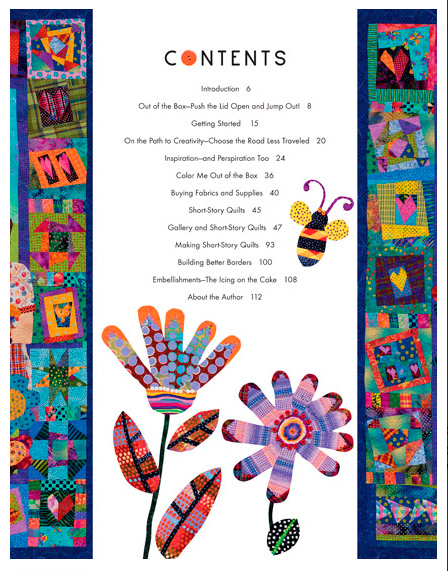 Yet she has been a fabulous supporter of my publishing work, finding the time to contribute beautiful original samples when I have a new book in the works. Here’s what she made for Teapots 2 to Appliqué. I just love it! Pam was at Round Robin Fabrics here in Santa Cruz, a quilt shop that specializes in ethnic, beachy, and not-your-ordinary-calicoes. 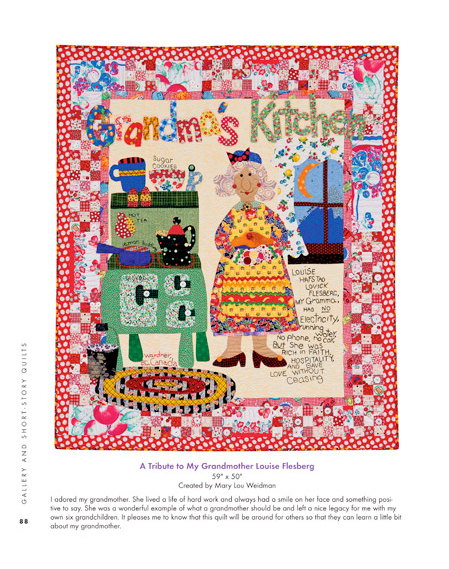 Some Kaffe Fassett prints and some rusty batiks captured her imagination that day. Pam has a habit of giving me her project for photography without telling me a name for it. I was considering “Sugar, No Milk” or maybe “With Sugar Please” because of her adorable vine-and-sugar-bowl border. Before the book went to print, I ran my ideas past her, and a funny look came over her face. “Not so much,” I said to myself. Turns out that Pam was thinking more like “Tea With Kaffe” because of the K.F. print she used for the teapot. 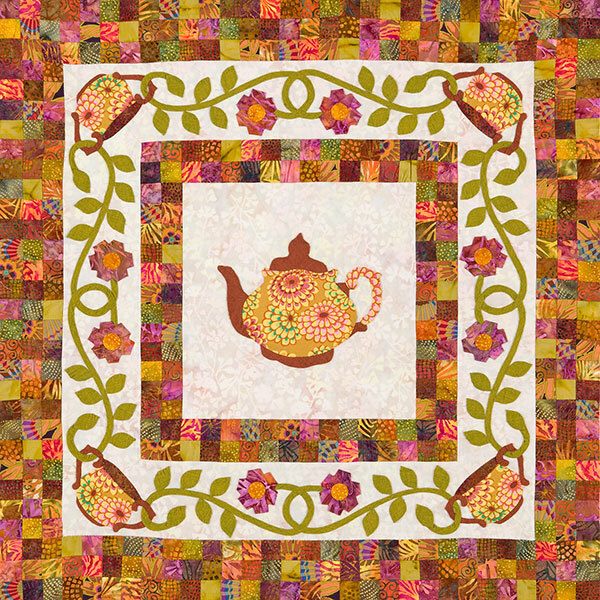 Well, I already had a “Tea with…” quilt, so we came up with “Tea Garden” to include the beautiful twining vines. Pam in her generosity also gave me a hand-drawn pattern for her original border. 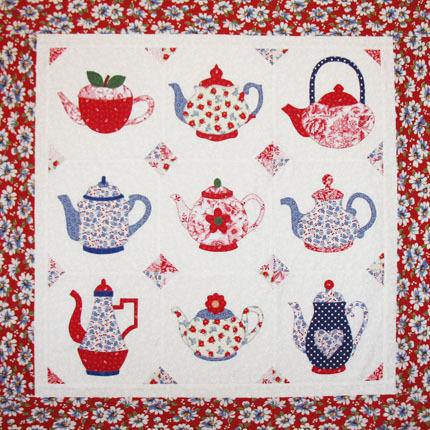 So if you order Teapots 2 to Appliqué over at Quilt Puppy and you’d like the border pattern, just type “Pam’s border” in the comments area and I’ll put one in with the book. I sew mitered borders from the top, where I can see what I’m doing. 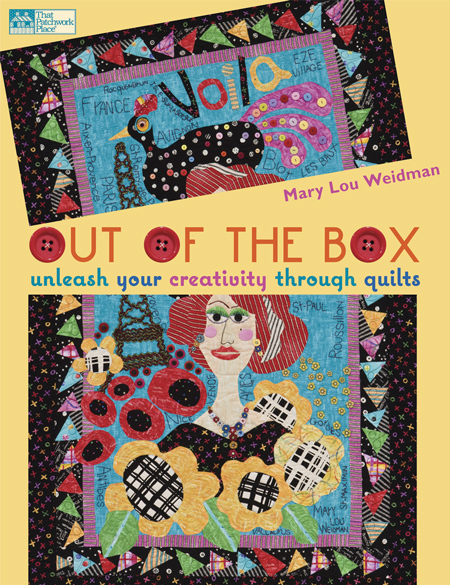 For me it’s more of an intuitive approach, but maybe that’s just because I’m an appliqué girl! This illustration shows an inner border and an outer border, sewn together and applied to the quilt top at the same time and mitered at a 45º angle at the corners. The border strip sets need to start out longer than the sides of the quilt. Sew the borders to each side, leaving ¼” free at each end of the seams. Secure the starting and stopping points with backstitching. Place the quilt on the ironing board. Fold one border under at a 45º angle so that it lines up exactly with its neighbor underneath. 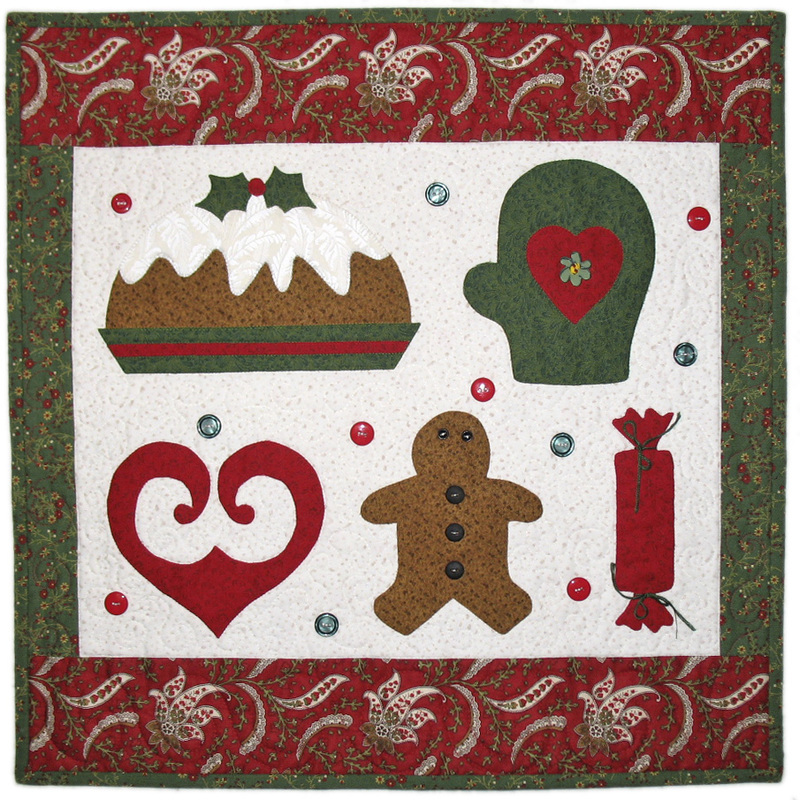 Use your ruler to check the angle of the miter and its 45º relationship to the square corner of the quilt top. When all is satisfactory, press and then carefully baste in place without shifting the fabric. Hand appliqué the miter, using threads to match the fabrics. Remove the basting stitches. Complete all four corners in this manner. After a final check that all four corners are square and correct, trim off the excess border ends, leaving a ¼” seam allowance. Press seams open. And that’s how I do that!